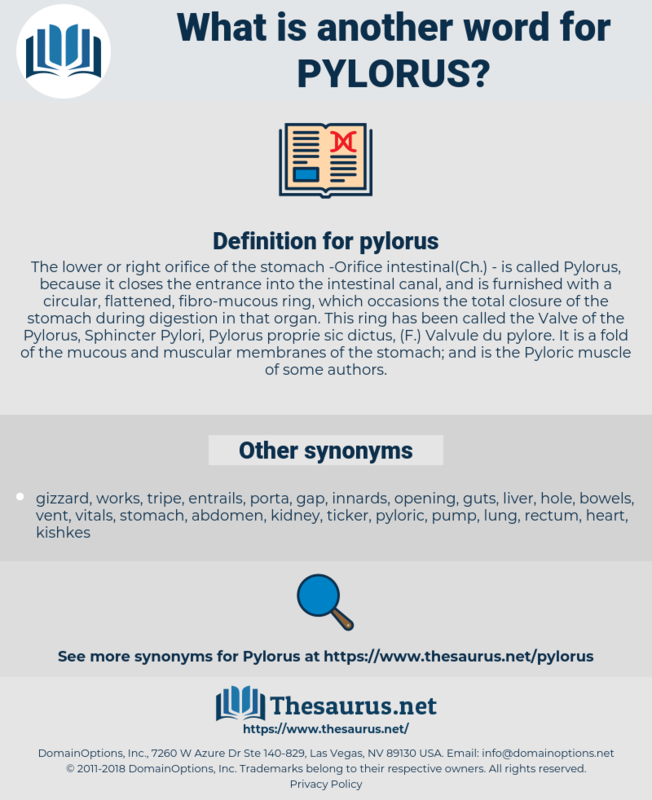 What is another word for pylorus? The lower or right orifice of the stomach -Orifice intestinal( Ch.) 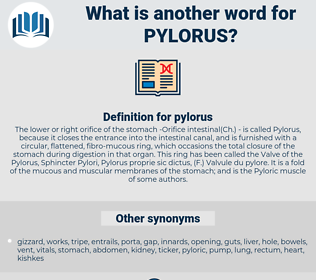 - is called Pylorus, because it closes the entrance into the intestinal canal, and is furnished with a circular, flattened, fibro-mucous ring, which occasions the total closure of the stomach during digestion in that organ. This ring has been called the Valve of the Pylorus, Sphincter Pylori, Pylorus proprie sic dictus, ( F.) Valvule du pylore. It is a fold of the mucous and muscular membranes of the stomach; and is the Pyloric muscle of some authors. Musculus Sphincter Pylori, pyloric sphincter, pyloric valve.